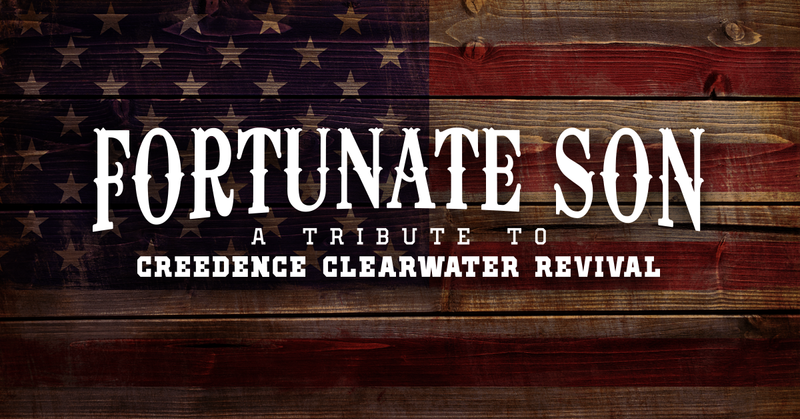 “Fortunate Son” was a big hit for Creedence Clearwater Revival in 1969. A tribute band taking the name of that famed anthem, will take the stage at the historic Granbury Opera House on June 18th – 20th, to bring to life the music of CCR and John Fogerty. There is no dress code at the Granbury Opera House. Most of our patrons dress casually nice to dressy. Because the theatre is kept cool for the benefit of the cast and crew, a sweater or jacket is recommended for those who might be cold natured. Because each patron holds individual viewpoints, Granbury Theatre Company cannot determine the appropriateness of each production for them and family members, including children. While we strive to make each musical and play appropriate for all audiences, some productions do include adult subject matter and language. We do encourage every patron to research our shows prior to purchasing tickets and attending our performances and then make their own choice on whether it is appropriate for their family or group.